The crucial second match of the Copa Libertadores final between Argentine powerhouses Boca Juniors and River Plate was postponed a day after the Boca Juniors bus was attacked Saturday, according to the governing body of South American football and Argentina state news agency Telam. 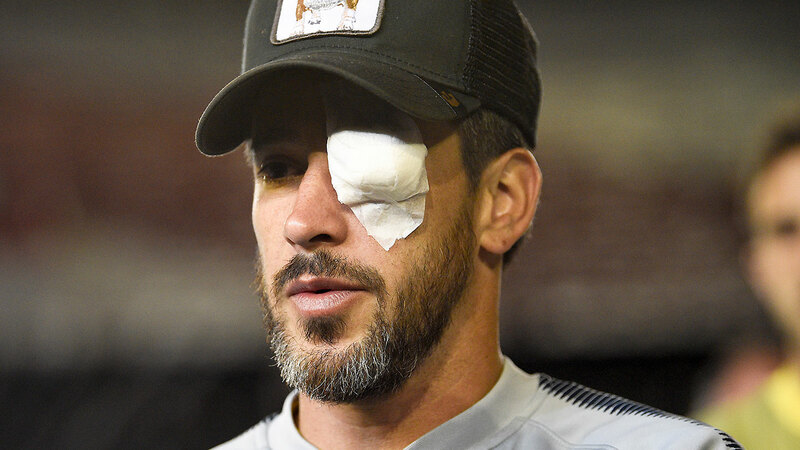 Boca Juniors captain Pablo Pérez and midfielder Gonzalo Lamardo were treated at a hospital after River Plate fans threw projectiles at their team bus on its way to the River Plate stadium in Buenos Aires, Telam reported. CNN affiliate TN reported that almost 2,000 police officers were deployed to the stadium area. A total of 29 River Plate fans were arrested, TN reported. Alejandro Dominguez, president of the South American Football Confederation, condemned the violence and urged authorities to find those behind the attacks. "What must have been a sporting event to live, enjoy and share the best of South American football became a shame," he tweeted Saturday night. "CONMEBOL (confederation) condemns the violent and criminal acts that put lives at risk, threatened the livelihood of professional athletes, affected millions of good fans and embarrassed their team, their football, their country and their continent." Hours before the attack, hundreds of Boca's blue and yellow-clad fans surrounded the hotel where their team was staying, the players shared on social media. Saturday's match was open only to supporters of the home team, River Plate, due to the rising tensions. 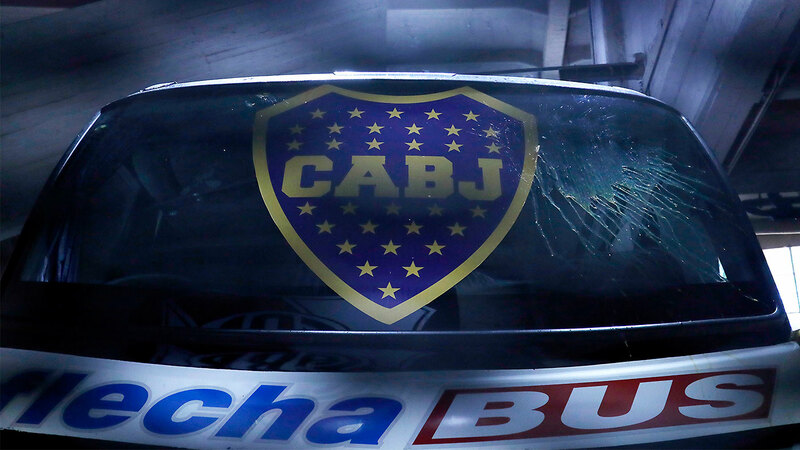 When the team was on its way to River's Estadio Monumental, Boca players encountered a moving mass of white and red near the stadium and some River Plate fans began throwing projectiles and stones at their bus, shattering some of the vehicle's windows, Telam reported. The tear gas police used to disperse the crowds made its way inside the bus and affected some players. By the time they made it inside the stadium, players Carlos Tevez, Cristian Espinoza and Mauro Zárate had difficulty breathing and coach Guillermo Barros Shelotto was coughing, Telam reported. The Super Clasico's final leg was initially delayed at least three times on Saturday as tens of thousands of fans waited inside and outside the stadium as players also voiced their concerns. "They are forcing us to play the match in these conditions," Tevez, Boca's captain, told reporters during the delay. "The truth is that we have three colleagues who are not physically okay." The G20 leaders summit is set to begin in Buenos Aires on Friday. The match will help decide the club champion for South America (top Mexican teams are also invited). The two teams drew 2-2 in the first match of the final series. Boca Juniors has won the competition six times, most recently in 2007. River Plate won the title in 1986, 1996 and 2015. The two sides are competing for the title for the first time in the tournament's nearly 60-year history.